UPDATED by AFN, April 9. 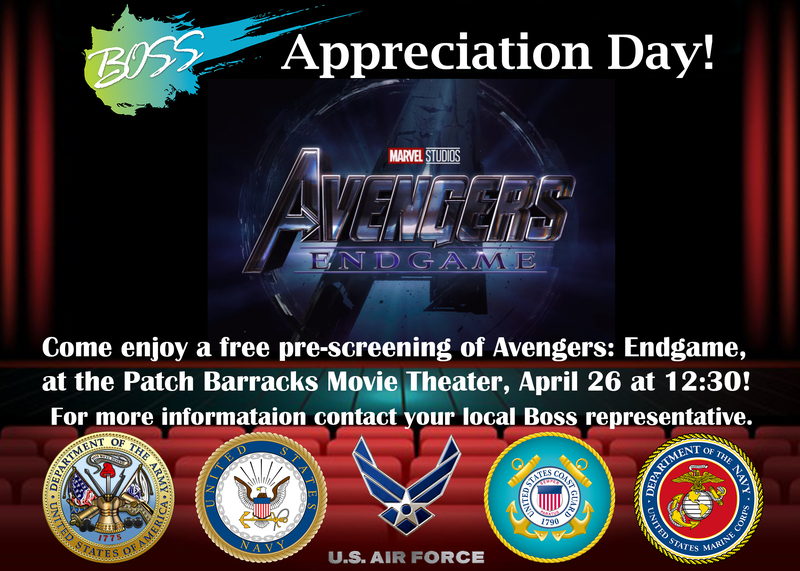 AFN Stuttgart and BOSS have partnered with the Patch Theater to provide a pre-screening of “Avengers: Endgame,” April 26 at 12:30 p.m. The event is open to single service members, geo-bachelor service members and single parent service members from any command or branch of service. RSVP to your commander leadership if you would like to attend by April 19. 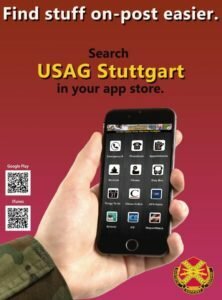 Leadership can confirm participation with Command Sgt. Maj. Toesa Tia.